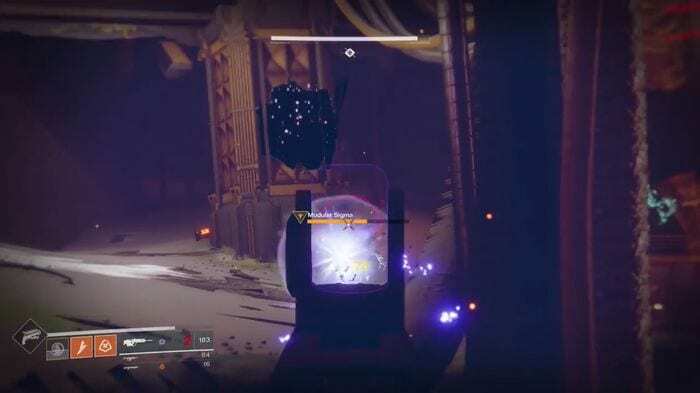 This page contains information about how to defeat Modular Sigma in Destiny 2. Modular Sigma is the Boss of Mission 11 – Fury. The two appear after activating the Mainframe to perform a remote scan. It is accompanied by Modular Upsilon, from which the latter remains invincible for so long as the former stays active. Moreover, the duo becomes more threatening as multiple waves of Taken storm in the scene. Before you challenge Modular Upsilon, be sure to take out Modular Sigma since the latter will attempt to repair the former. Once you go head to head against the boss, begin by unloading shots to his ocular and attempt to cover as you reload until he falls. Subdue Sigma until it’s floored then fire at Upsilon’s ocular. Again, do not allow yourself to be exposed as Modular Sigma has an army of Taken at his disposal. Use cover while reloading then take out the battalion that spawns to Upsilon’s aid before going for Modular Upsilon once again. If you find that the pair are roaming near the surrounding Taken, toss explosives to deal heavy damage. Continue to flank at Upsilon’s ocular, it will eventually strafe to the side for cover. With Modular Sigma finally gone, execute the Super Charge to shave off a significant amount of Modular Upsilon’s HP.